Keowee Expert Blog Brrrr But Spring Is On The Way! These frigid temperatures aren’t stopping us from getting hot and bothered about the 2019 Lake Keowee selling season. In fact, it makes the anticipation even sweeter. It’s easy to think about jet skiing, skiing, boating, and just relaxing on the waters of Lake Keowee when it’s cold outside. Rather, I believe I feel myself longing for them as probably many of you are. Before we know it we’ll hear the first call of “play ball!” and be planning some July 4th shenanigans. You know what? You’d better start planning for July 4th right now if you are looking to rent on Lake Keowee. We’ve already rented out one house for the entire week and I’m sure the same thing is happening out there for other rental homes. If you’re looking to rent a home on Lake Keowee, don’t forget to contact our rental manager Rick Miller (864-784-9977 or [email protected]). We’ve got some pretty slick choices for you. Have you ever thought about owning and then renting a home on Lake Keowee? There aren’t a ton of places where you can do that. Contact us to see what your options are. Let us know if we can be of service. And, if you are a buyer, now is a GREAT time to buy before the mad rush of the season. If you are a seller, it’s time to make your home or property shine so yours will be more tantalizing than any competition. As you can see, very few of those things are within your control. However, you’ll be in a much better position to make the most of your sale if you at least have a full understanding of all the elements involved. All of the economic realities that affect your home’s market value are reflected in the prices of recently sold homes. Your real estate agent should provide you with a complete comparative market analysis showing the listing and sales prices and the features of other homes similar to yours in the area that have sold recently as well as the features and listing prices of homes currently for sale. The report should also reflect the length of time each of these homes have been on the market. Now matter how much you think you may have already learned from talking to neighbors and looking at ads in the local papers, seeing the hard, cold facts is still usually surprising to most sellers. You’re likely to find that the people you talked to tended to “round off” or exaggerate the prices they bought or sold for. This rendering shows what the proposed Clemson Brewery at the Astro cold one day look like at the site of the former Astro Triple theater on College Avenue in Clemson. The sale of the property was finalized last month. 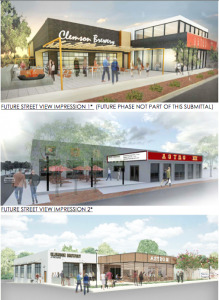 By Greg Oliver – CLEMSON – Plans for the new Clemson Brewery at the Astro at the same site that housed the Astro Triple theater for 37 years continue to move forward, with the sale of the property finalized last month. 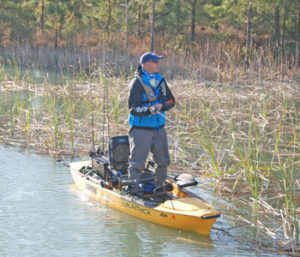 Spending some time this year learning some new kayak fishing skills will help make you a better angler. 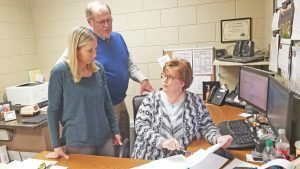 Oconee County chief deputy treasurer Connie Bellotte, right, goes over property tax figures with treasurer Greg Nowell and deputy treasurer Heather McCutcheon. By Riley Morningstar – WALHALLA – Property tax collections in Oconee County are up more than $1.7 million so far over a year ago, according to information provided by the county treasurer’s office. 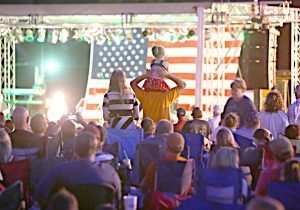 With live music among its many offerings, the annual SenecaFest will make its return to downtown this year after several years at Gignilliat Field.